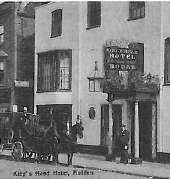 During the evening of Tuesday 24th November 1891, a company of twenty local dignitaries sat at a large table in the comfortable surroundings of the King’s Head Commercial Hotel in Maldon High Street. 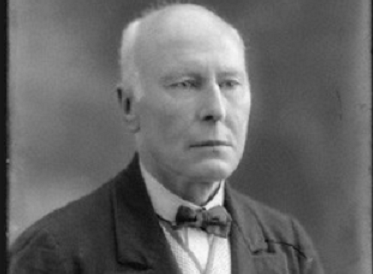 Thomas Elsey Bland, JP, wine and spirit merchant and manager of the Maldon Crystal Salt Company. Although they were from very different walks of life, these influential men had a common interest, all of them had a passion for an up and coming pastime - the captivating game of Golf. As an organised pursuit, the sport was in its infancy and, although an association had been formed in the country as early as 1766, (the Royal Blackheath), the sun would set on Victorian Britain before Golf really teed off. 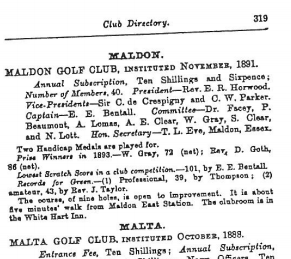 As a Result of that ad hoc assembly back in 1891, Maldon Golf Club was formed and Rev Horwood became its first president. Said to be the earliest Club on the Essex coast, Sir Claude and Christopher Parker were appointed vice-presidents. E E Bentall was made captain. (by 1899 he was the honorary secretary). The committee then considered a number of suggested grounds. Of the options open to them, which probably also included included locations in Langford and great Totham, they finally plumped for a flat meadow lying between the Chelmer/Blackwater Canal and the river Chelmer, on the edge of the picturesque and historic little hamlet of Beeleigh. It was a unique situation and ideal for the golfers' needs, skirted by a footpath into town, only five minutes walk from Maldon East Station and about a mile from Langford. There were plenty of natural hazards, including winding gullies, a former mill stream, small clumps of reed lined saltings, slight undulations and lines of bordering hedges. Arrangements were made to occupy the site and Thompson of Felixstowe was engaged to lay out a course of nine holes, varying in length from 110 to 460 yards. Club Headquarters having been established at the White Hart inn at Fullbridge and subscriptions set at 10s.6d. per annum, the 42 members were ready to play their first round. The Links, which were said to be at their best between October and June, became very popular and in 1904 they were extended, greatly improved and the putting greens enlarged. By 1914 there was a purpose-built Clubhouse on the course and a professional W James was in residence. A table of visitors' green fees had been set at 2/- a day, 7/6 a week or £1 per month and in an attempt to eliminate that horror of all horrors, the Golf Widow, Ladies were encouraged to play by the application of a reduced rate for women and children. The club has taken on an altogether different image and its well established and favoured course is the envy of many neighbouring golfers. Today the Maldon Golf Club's reputation speaks for itself. It has certainly come a long way since the days of Rev Horwood and his confederates but who knows, perhaps the ghosts of those founding fathers still keep a watchful eye on the teeing grounds and fairways of their favourite piece of Maldon and there might be more to that deflected ball than just the rub of the green!